It’s Wednesday, so you know what that means 2 more days til the WEEKEND BABY!!!! But its also Spring Time. And to pop spring in Kadii’s Place. I did a little re-decorating. 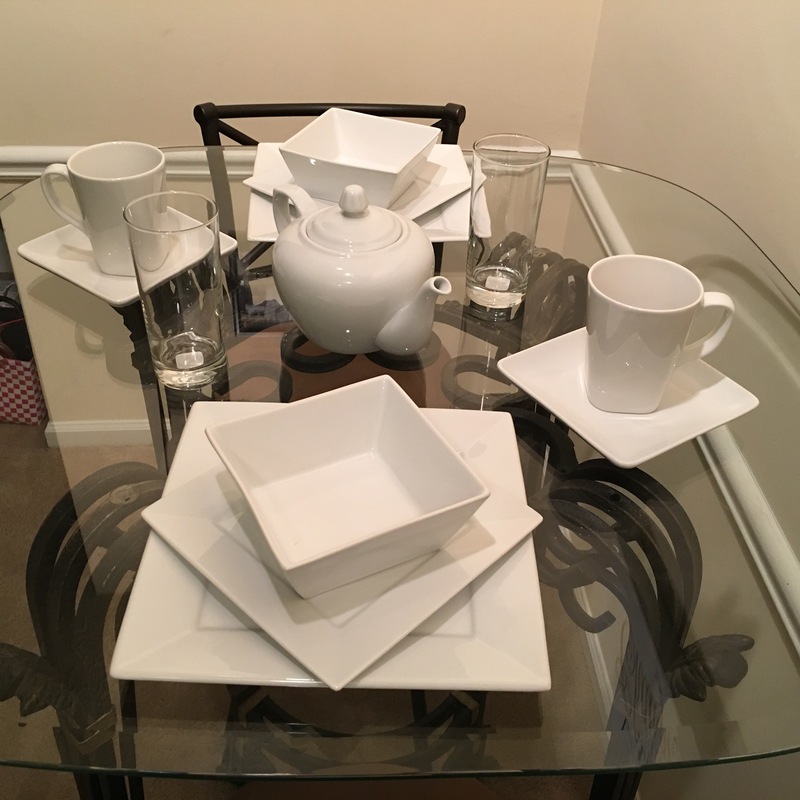 For the spring I decided to decorate my dinning table with this All white (tea inspired) theme. I love the display of all white. All white bathrooms, all white bedroom, All white parties, all white dinning room, winter wonderland. But I can never pull it off. I’m like a kid I will dirty up some white in a hot second. With a all white bedroom set, I’, bound to get make-up or juice on something at least once a week. I don’t even think I will be wearing White in my wedding- I refuse to drop something on my wedding dress on my one special day. I know what you’re thinking- “Girl, you’ll be okay, you wont drop anything”. But Girl, yes I Will. 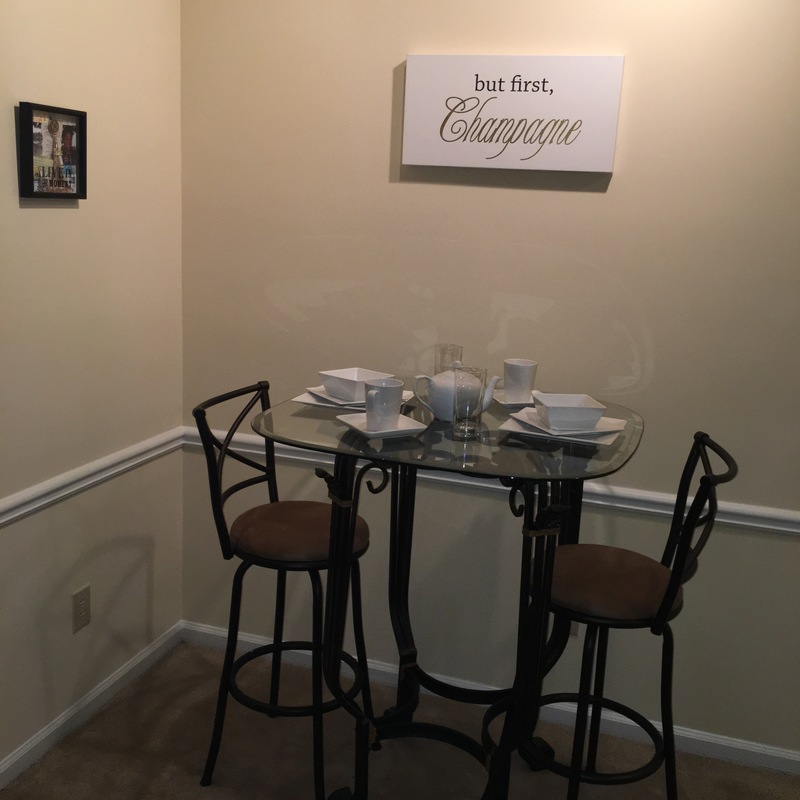 So, my dinning room table is a tall 2- seat breakfast style table, with glass table top. To complete my all white theme, I took one trip to Target. This is where I found all the dishes for this little setting. I thought the squared plates gave off an elegant feel, also something different than what I had before. So each seat is centered with a squared dinner plate, salad plate, and soup bowl. And since I love tea, you know I had to throw in a Tea Spot to center the table and add a coffee mug and salsa plate to seal the deal. Now that its spring you have the option of having your tea hot or cold, so I added slim drinking glasses- for that southern sweet tea we all love. 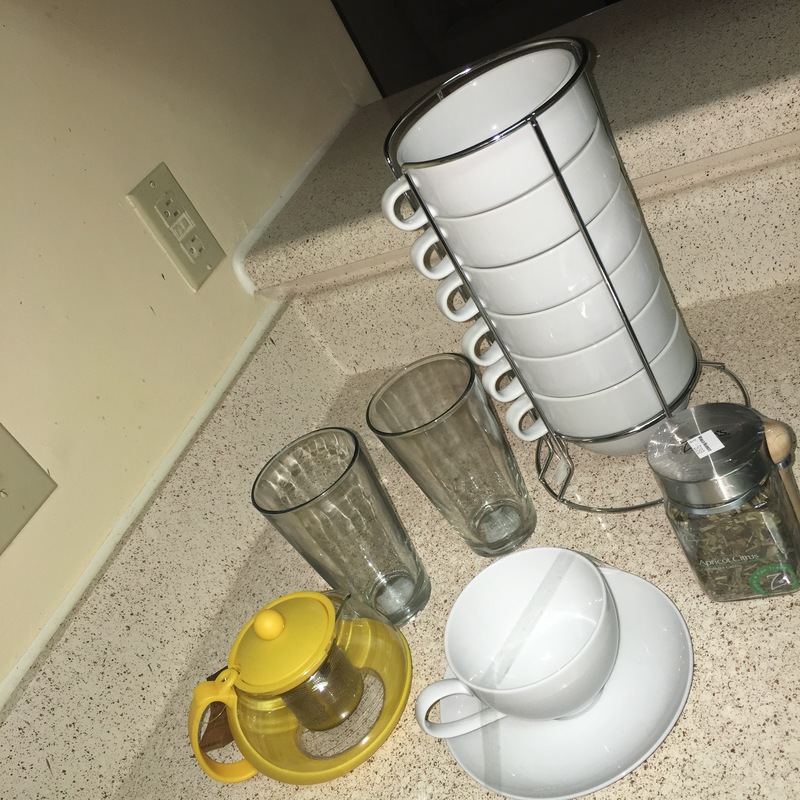 My little table setting also encouraged me to take a trip to Cost Market, where I was able to find stackable coffee cups, for my bar top area. And more tea stuff that I’ll be sure to give you reviews on later. Feel free to share with me some of your Spring Décor and find me on Pinterest. Now don’t get to stress the rest of the week, trust me the weekend will be here before you know it. Remember before you start your weekend, stop back by on Friday for another #Passionlocked post. Oh wow. this is so nice. I like different shades of white as well. especially when they are complimented with steel and metal appliances and upholstery. I love the glass table, very clean.